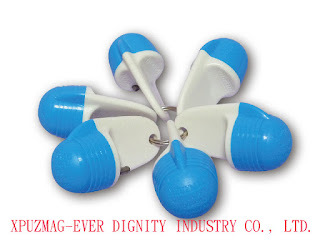 EVER DIGNITY INDUSTRY CO., LTD.
昂昇工業有限公司 EVER DIGNITY INDUSTRY CO., LTD.
NO. 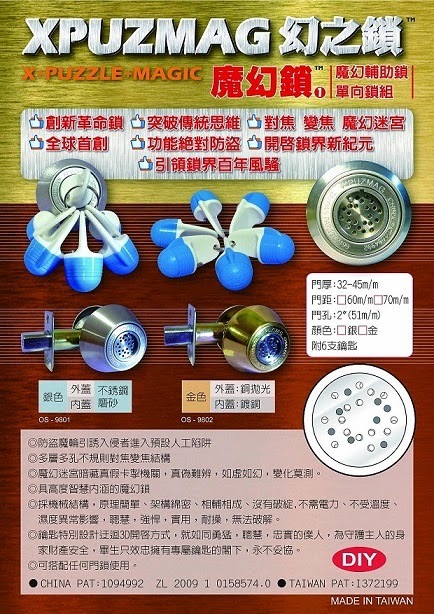 488, SINSHENG RD., GUANYIN Dist, TAOYUAN City 32848, TAIWAN, R.O.C. 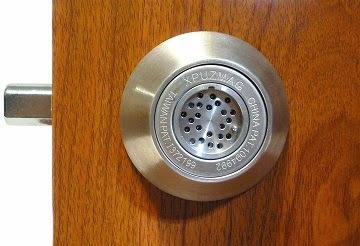 The lock stands for X, Puzzle and Magic. 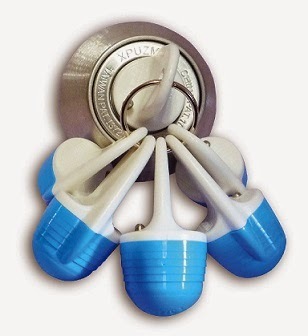 A magical lock is with puzzling focus and defocus function. A matrix bearing of lock will misguide invader into traps. It needs to turn the bearing to unlock, then a puzzling focus and defocus function will confuse invaders while the bearing turning. 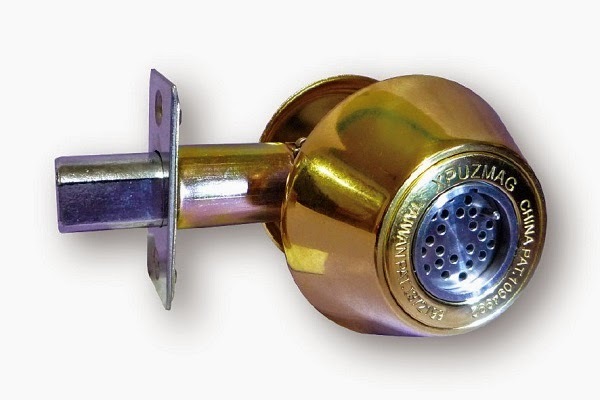 The lock has several real and false key pins that don't align with the shear line. 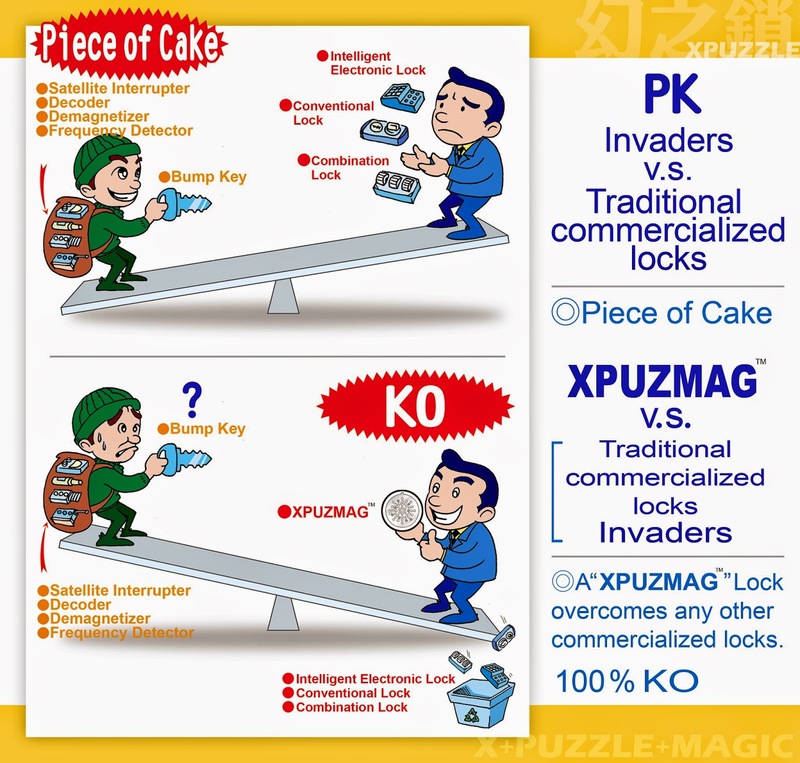 Invaders cannot distinguish real and false one, let alone unlock it. The mechanism with irregular arrangement of key pins is impossible to open unless using the correct key. l Traditional mechanical lockset：With single axis or cylinder blockade and is lack of variance. So that easy to be breakthrough. 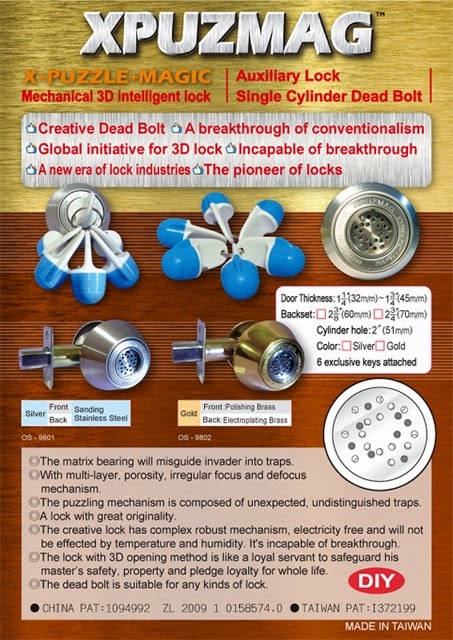 l Combination lockset：It could be breakthrough by luck. 1. 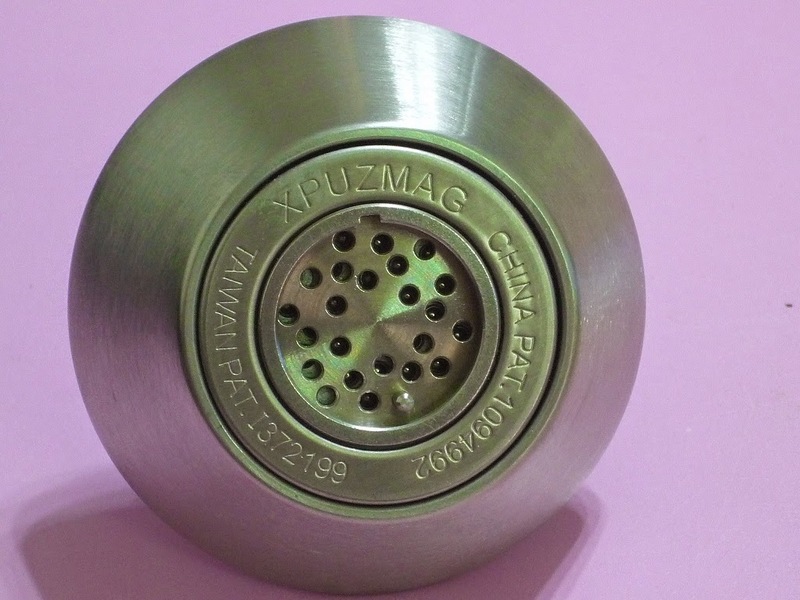 It’s limited and down by the life of components, insufficient power, abnormal temperature and humidity condition. 2. It will be a short cut for invaders via the backup mechanical lock. 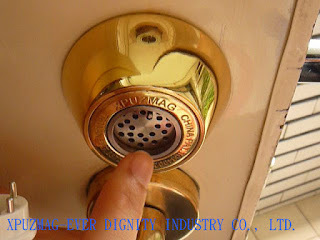 3.The multi-functional lockset is useless once one of the locking function is broken. The anti-thief function is not useful at all. 4. 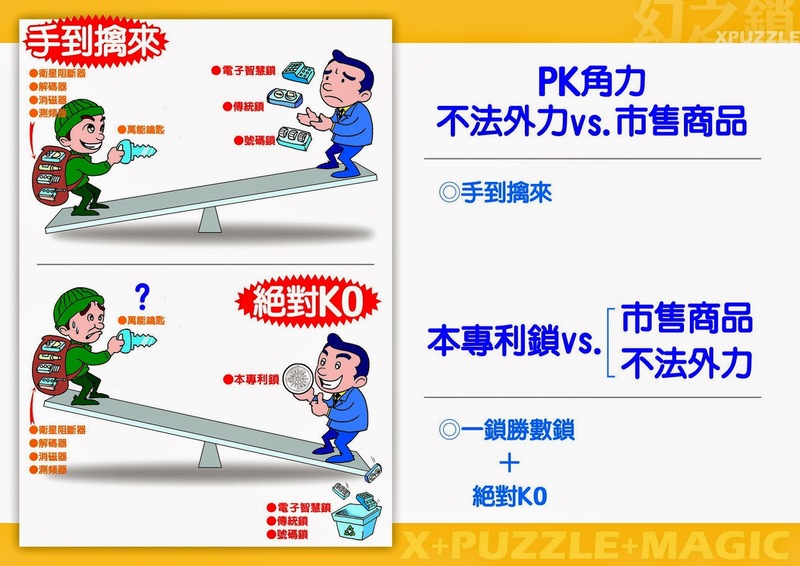 All kinds of duplicator, card reader, demagnetizer, decoder , frequency detector and satellite interrupter are the natural enemy around. 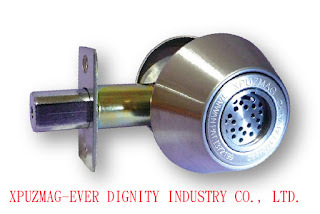 The anti-thief capability is doubtful. 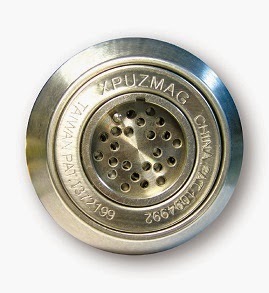 The “XPUZMAG” Lockset has complex robust mechanism, electricity free and will not be effected by temperature and humidity. It's incapable of breakthrough. The traditional mechanical lockset is commercialized for more than 100 years. 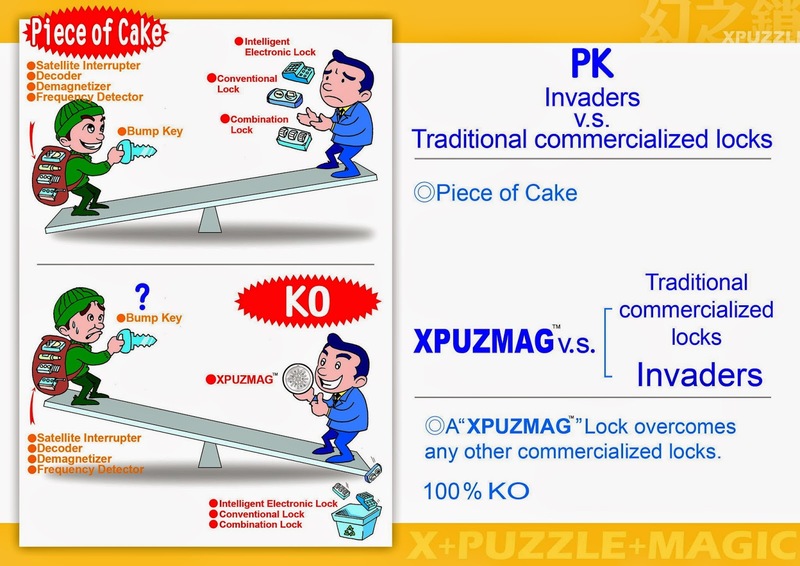 “XPUZMAG” Lockset will initiate a new era of lock and be the pioneer for next 100 years of lock due to its unique technology, as well as outstanding burglarproof performance. Discard the old fashioned lockset and enjoy using the innovative one, XPUZMAG, which is easy DIY and ready to pass down for hundreds of years.